Exquisite 1 level living! Top of the line finishes. You will love to entertain in this luxurious Chef’s kitchen boasting a huge quartz island! 20ft ceilings offering light filled living at its best. Master Bed offers walk in closet & views to outdoor living! Spa like master bath too! Pics of home. Home Sold AS-IS! Taxes TBD. Bldr Paperwork. 3Yr Service Program! Please, send me more information on this property: MLS# 19494075 – $959,990 – 15277 Sw Thames Ln, Tigard, OR 97224. 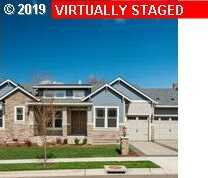 I would like to schedule a private showing for this property: MLS# 19494075 – $959,990 – 15277 Sw Thames Ln, Tigard, OR 97224.